Our latest FREE heart screening day is being held at Hugh Baird College, St Winefride’s Campus, Oriel Road, Bootle, Liverpool, L20 7AD on Saturday 16th February 2019. This screening event has been funded by all the great people from PURE Business Group based in Liverpool, who took part in a Charity Golf Day in very challenging weather indeed to raise funds for a heart screening day. If you wish to be screened then please contact Tracey at info@vsf.org.uk – she will be able to help you get booked on. 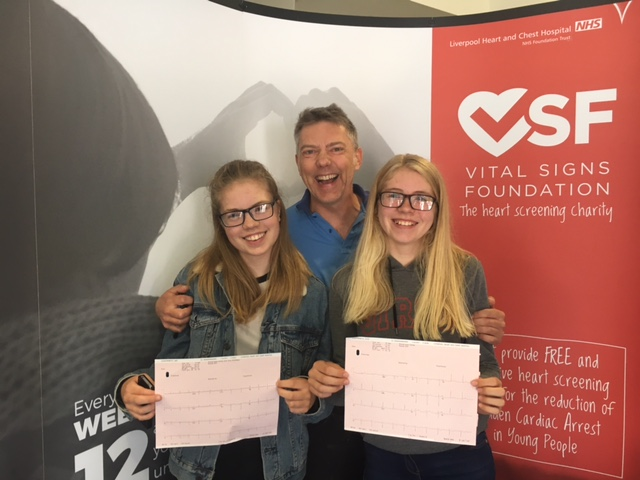 All VSF heart screenings are FREE to the individual and anyone aged 16 to 35 can book a place. Remember – at least 12 fit and healthy young people die each week due to undiagnosed heart conditions. Don’t let this happen to anyone in your family or friendship circle!